There have been some really great posts lately about how teachers are giving feedback on assessments. You could read this post here by Nathan Kraft or this post here by Fawn Nguyen. Also, there is a great Teaching Channel video on highlighting mistakes as a grading practice for you to watch here. All of these posts show the power of the highlighter. 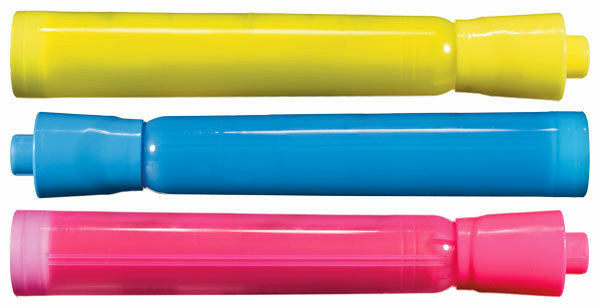 A strategy that I started using last year involves the highlighter…but in a different way. Problem-Attic is a resource I’ve been using to create weekly assessments. 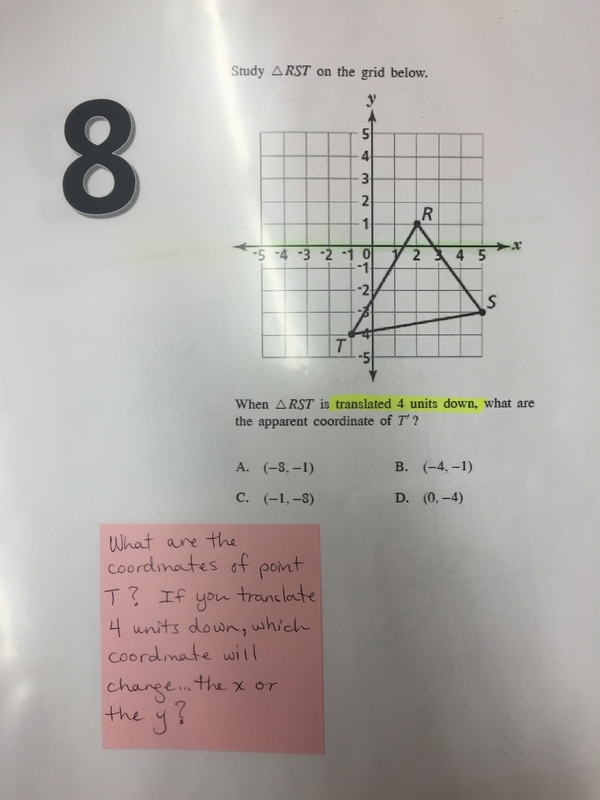 I wanted to figure out a way to help students to be more independent in identifying and revising mistakes. 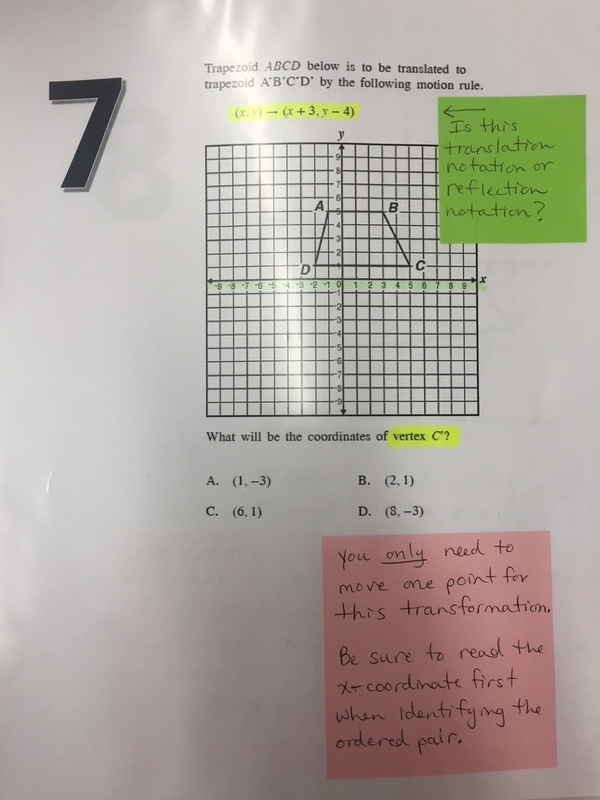 I decided to turn each problem from the assessment into its own one page station where I highlighted important features and made notes of important think-abouts. For the most part…these related to common misconceptions or careless errors. Students then had the opportunity to work around the room and read the “hints” that were provided in order to revise their work. Some of my hints were probably too “hinty,” but it was a starting point for a process that I was working out. I did this with 8th grade-on grade level students. Students reported liking the process–and were able to figure out their errors independently of me. I’m hoping to refine this process this year. Thank you for this idea. I’ve been needing a way for my students to find their own errors on our assessments and then be able to talk to me about them.